Did you confirm that Uber ride to the Colisuem? Great! That means it's time. This is gonna be important, amazing, and very cool. Your kid is about to confirm his spot as a top Roman Gladiator! Yeah, we know he always had it in him, and now it's time for him to become that historic superstar that he was always meant to be. This does mean we're going to have to get him costumed up in all the right gear though. Got it covered? We're sure he's a got a great gladiator costume picked out, but we're going to want to make sure he's outfitted with all the right gear, too. So get him this Kid's Gladiator Mask and Sword Set to complete the theme! This detailed accessory kit goes perfectly with any ancient warrior costume. 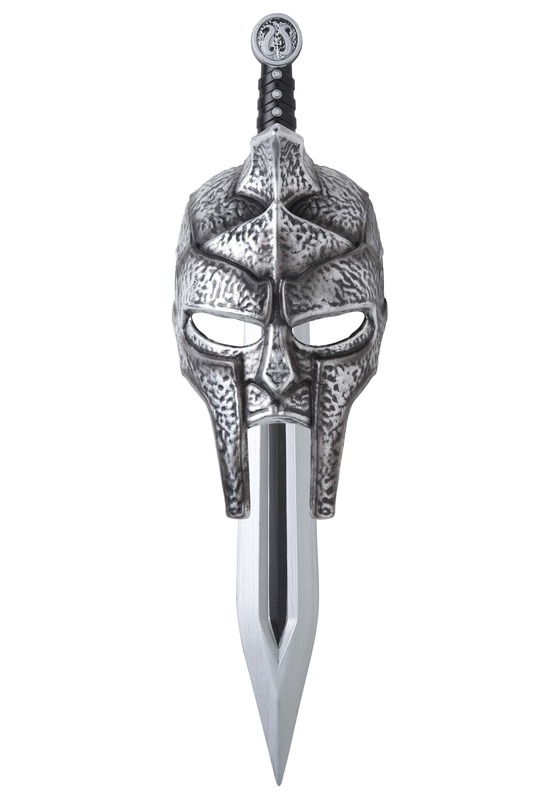 The plastic molded mask looks like forged metal, and it looks particularly fierce if we may say so! This set also comes with a 26 inch sword, so he can swing and fight like a real gladiator would. All Fun and games, really! Of course, it's all imaginary fun, but we're sure your child will love a romp as an ancient warrior combatant. 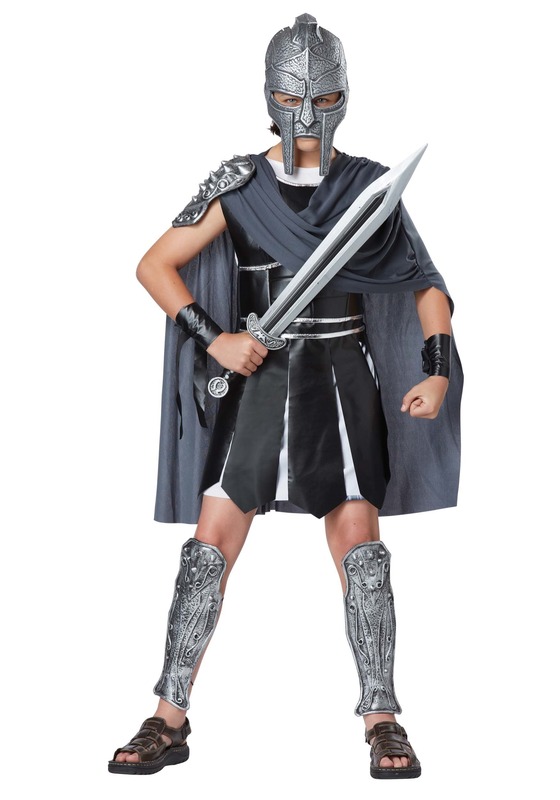 A powerful costume choice, we're sure he'll feel just like a gladiator. Complete his costume with this accessory set, and check out our entire selection of costume accessories to get his style just right!